Impressive renovated two bedroom, two bath apartment is in close proximity to the 1 train at 145th Street and Broadway as well as the A, B, C, D trains. 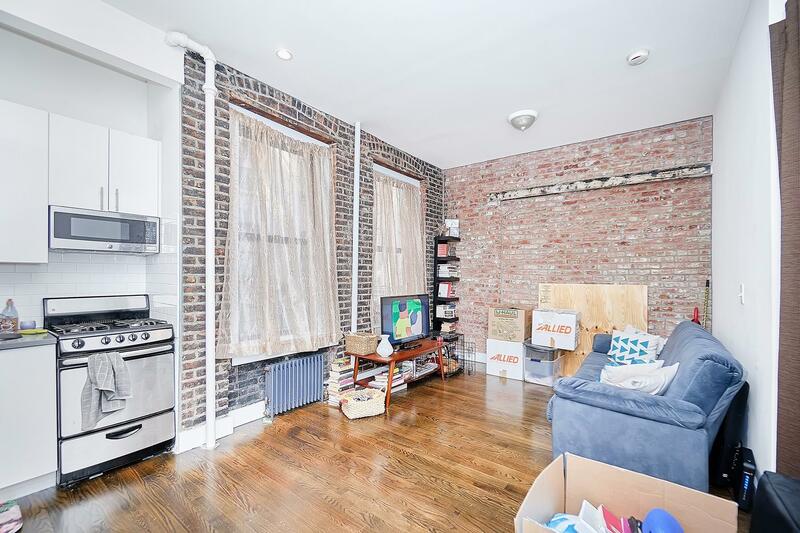 This cozy abode boasts exposed brick, french doors, rejuvenated sleek kitchen with stainless steel appliances and a dishwasher, hardwood floors, high ceilings, queen + full bedrooms, ample closet space in each bedroom, laundry in building, and live in super. Pet friendly.